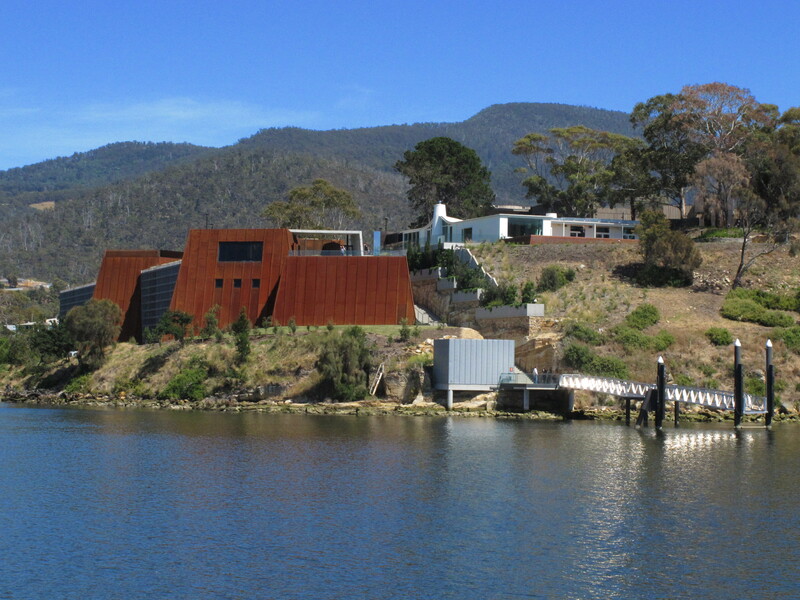 The rest of my "Highlights from Tassie" posts appear in no particular order. They were all equally magical in their own way. 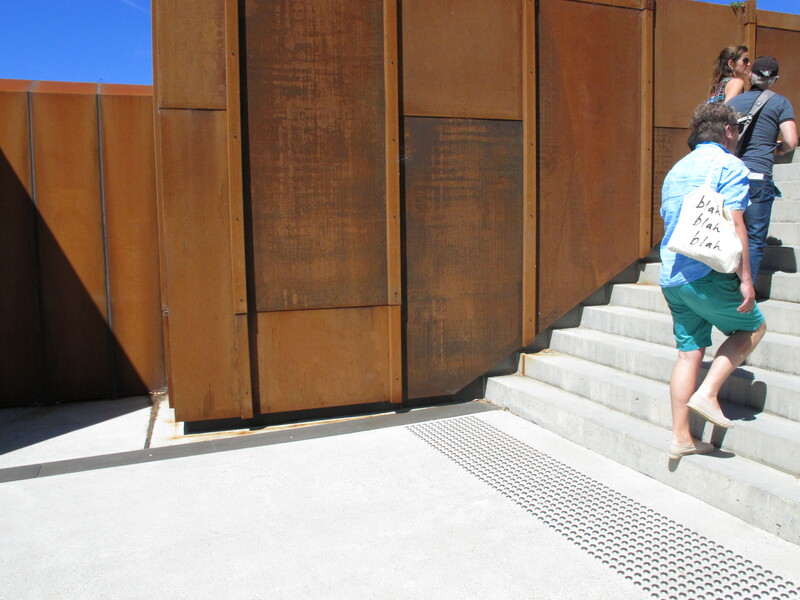 The one I'm sharing today is about my favourite work of art at MONA (the Museum of Old and New Art) in Tasmania. I am confident that it was not a curated part of the exhibition, but if art is something that provokes an emotional response, that makes you stop and ponder, that is visually grabbing and that inspires you, then this was, hands down, the highlight for me. OK, so I'm not going to win any cinematography awards, the resolution is dodgy and whatever I was doing that makes the click, click sound is a little annoying, BUT these are my highlights and unfortunately that is the best that I can do to share with you what was a completely profound and beautiful moment, indeed one of the 4 most profound and beautiful moments in 2 ½ weeks in Tassie... which is only a reflection on my camera skills, not on the rest of my time in Tassie. [BTW the building is also striking and stunning and the rest of the art was, I thought, variable but entertaining]. 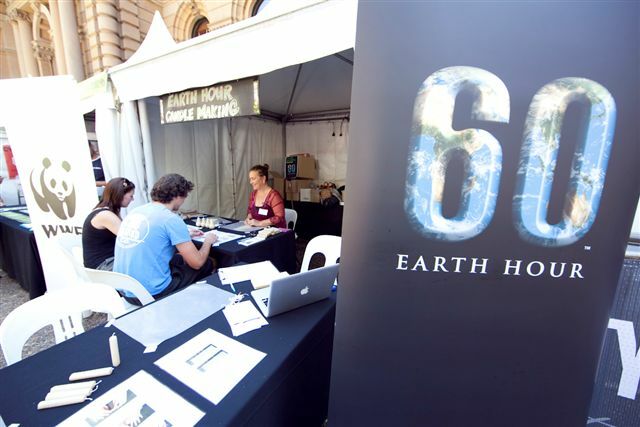 MONA request on their website that photographs of the art not be published without permission... so we'll just stick to the building and my favourite work of art. I really hope you enjoy it too. There is something so delightful about seeing nature in all its glory and loving itself sick! The garden was pumping like a mardi gras dance floor. Flitting here and there. Sequins and tiara's. Bum waggles. A touch of pink. And oh so beautiful to watch! 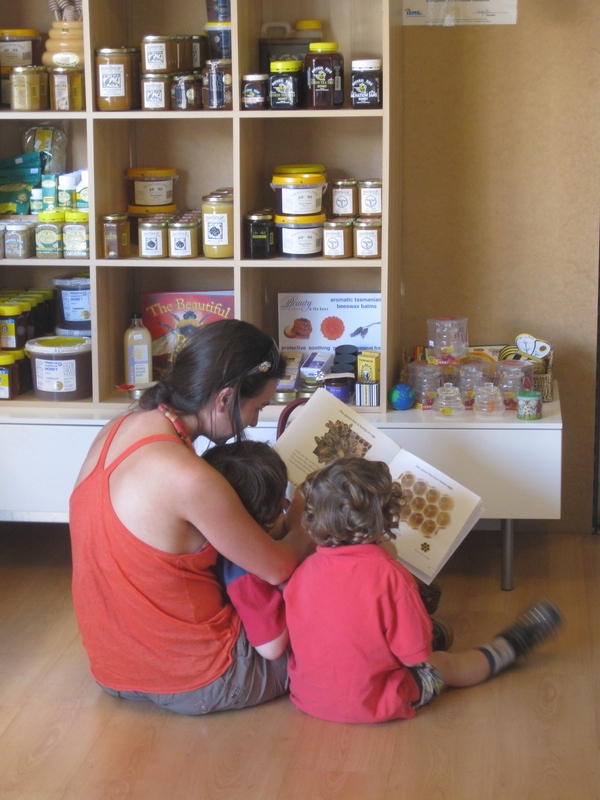 This entry was posted in Bees & Honey and tagged Tasmanian honey, bees, beekeeping, bee on January 23, 2012 by queenbcandles. 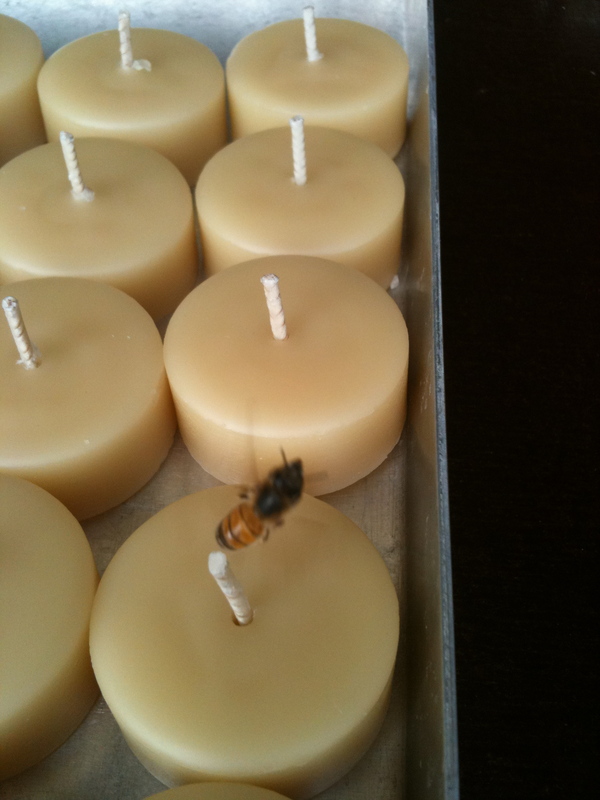 Queen B candles - 100% Pure Beeswax - as certified by the bees! I put in the one with the bee flying just so you didn't think that it was a bee pin or something like that! 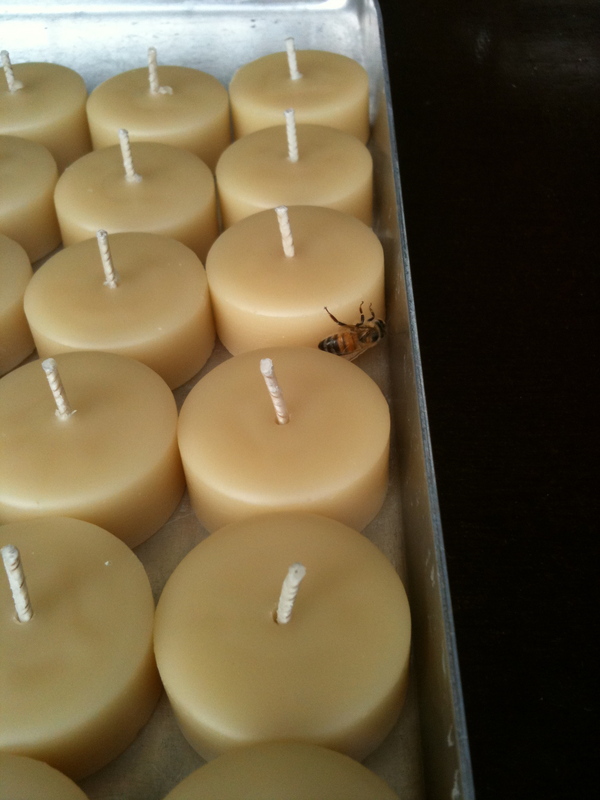 This entry was posted in Beeswax Candles & Candle Making and tagged queen b, beeswax candles, beeswax, bee on November 22, 2010 by queenbcandles. 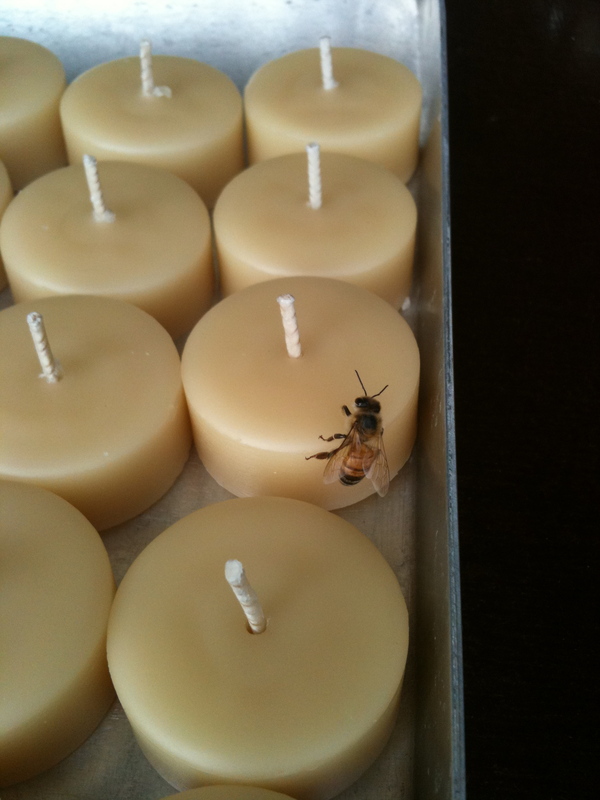 This entry was posted in Beeswax Candles & Candle Making and tagged rolled beeswax pillars, queenb, queen bee, queen b, new desing, natural, hand-made, candle design, beeswax candles, beeswax, bee, Australian made on February 28, 2010 by queenbcandles.